An intriguing young forward who continues to show flashes of breaking out. He can finish at each level, he handles it for his size, he has vision, etc. He delivered a solid campaign last season and followed that up with a strong spring and summer showing. He recently added an offer from American University and given his size, length, and high ceiling he’s trending towards having a lot more come his way by the end of next summer. 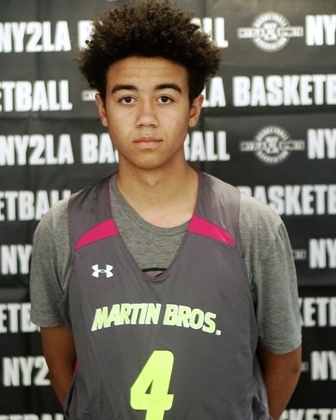 He’s getting interest from low, mid, and high major Division 1 programs and for reason as the 6-8 plus forward’s best basketball is in front of him. A multi-dimensional forward with the ability to impact the game in a variety of ways, McGill holds offers from Northern Colorado, Air Force, and Denver already and he’s really just starting to get started. He can face up and knock down the jumper, he handles the ball, he has vision and can create on occasion, and his size and length give him the ability to score with his back to the basket on occasion. As his physical tools mature in terms of speed, strength, and explosion expect his game to follow suit in terms of impacting the court. He should have every low and mid major program in the country watching him closely over the next 12 months and with a huge step forward don’t be surprised to see some high major programs kick the tires as well. Heading into his freshman year Moses had top 20 national potential for his class. Equipped with size, plus length, instincts, skill, and a ridiculous ceiling the only thing that slowed him so far is injury. Once full healthy and back on the hardwood Moses will be a high major Division 1 prospect. He can score at multiple levels, he sees the floor well, he has nice instincts, and his potential is enormous. A potential blue chip talent once he’s fully healthy. A talented pint sized guard with quickness, handles, range, and instincts. Rice can take over the game creatively or scoring the basketball and the talented guard has solid defensive impact ability to. He’s a Division 1 talent who will likely find low to mid major Division 1 programs as his suitors potentially. Pound for pound Rice can compete with any guard his age and the young man is really just starting to scratch the surface of his potential. Already collecting Division 1 interest from Eastern Michigan, Miami (OH), Mississippi State, Northern Illinois, and Cleveland State, Zeigler is a talented and skilled up and coming forward to pay close attention to. He’s equipped with length, athleticism, instincts, and an ability to create or score as needed. His range extends beyond the arc and he can finish at multiple levels. 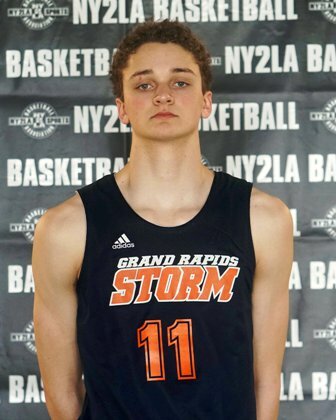 A talented sleeper in Michigan, look for Zeigler to take some big strides forward over the next couple years and his recruiting trail should follow suit with added size and skill development.